22 minutes was all it took for Nate McMurray to go from describing election night as a "setback," to challenging the results of the election. We will make sure every vote counts. It will take a few days to get the machines back. The margin is tight. Let’s finish this fight. After examining the numbers, the margin is 1% and the will of the voters must be heard. We are demanding a recount. Mr. Collins is going to need another set of lawyers. As of 1:30 a.m., with 99 percent of the election districts in NY's 27th Congressional District reporting, Rep. Chris Collins held a 2,980 vote lead over McMurray. The Collins campaign brushed off McMurray's demand shortly after he made it. 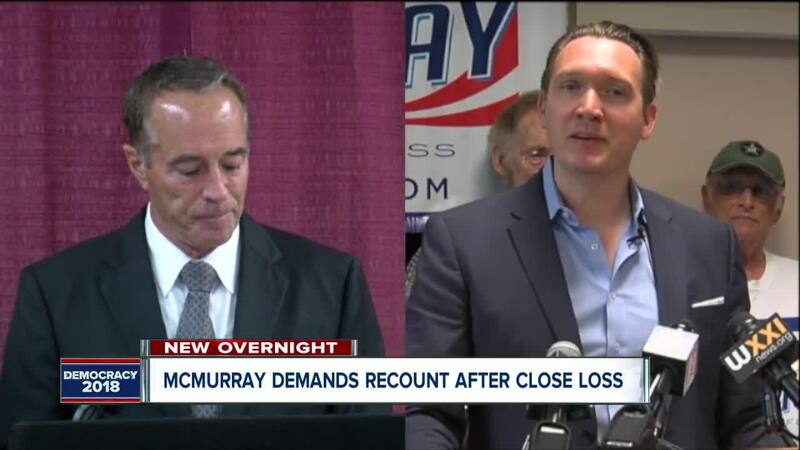 "After tearfully conceding and recognizing his own defeat, Nate McMurray is once again dancing to the tune of the angry mob that just can't accept the will of the voters," a campaign spokesperson said in an e-mail to 7 Eyewitness News. "Congressman Collins is looking forward to serving NY-27 as he always as." Speaking with media from a victory party at Big Dog Strategies in downtown Buffalo, the indicted incumbent said part of his winning strategy was avoiding the media. His team would regularly dismiss or decline requests for interviews with the candidate. The Republican's victorious election night comes despite what he calls a "black cloud" of federal insider trading charges hanging over his head, which he denies. 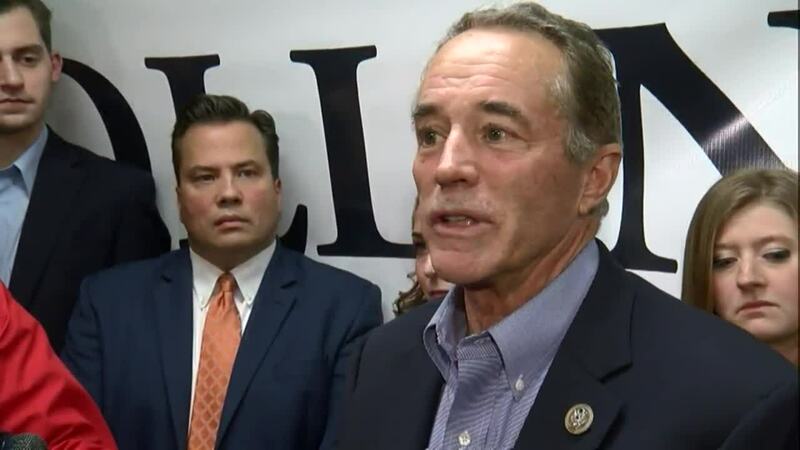 Collins says his ability to represent NY-27 will not be impacted by his legal troubles. For more election results: Click here.